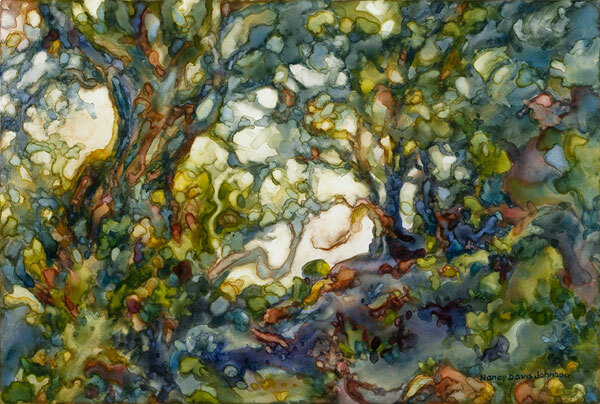 This is a fanciful mind-game, an exploration of watercolor on Yupo and memories of woods wandered. Fine art Giclée prints are available. Price on request.